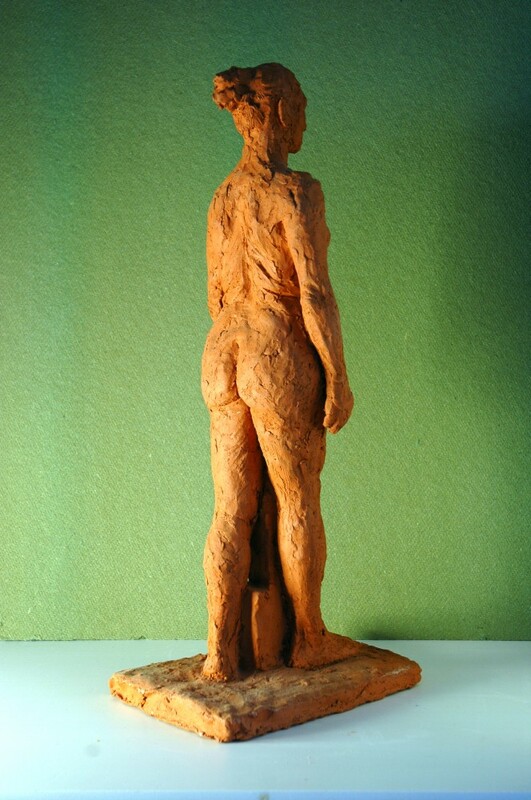 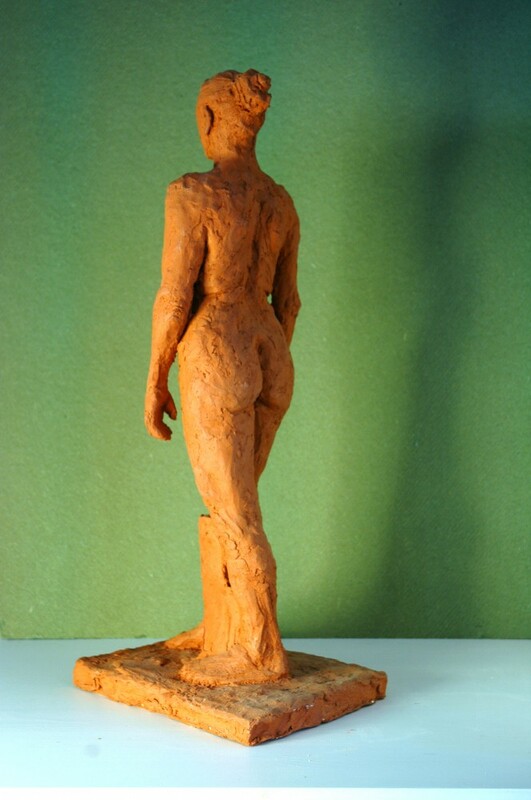 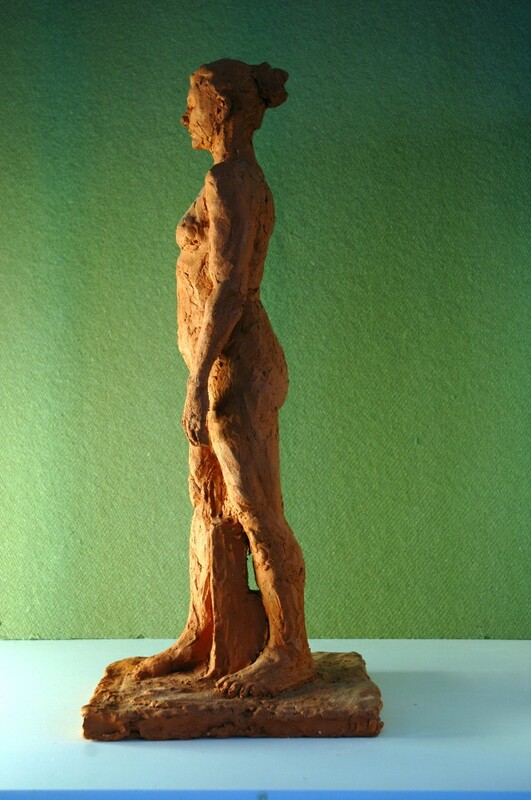 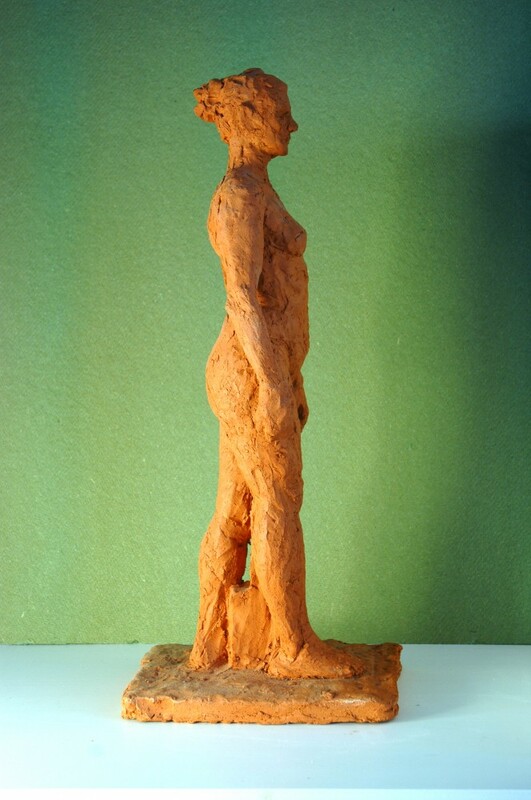 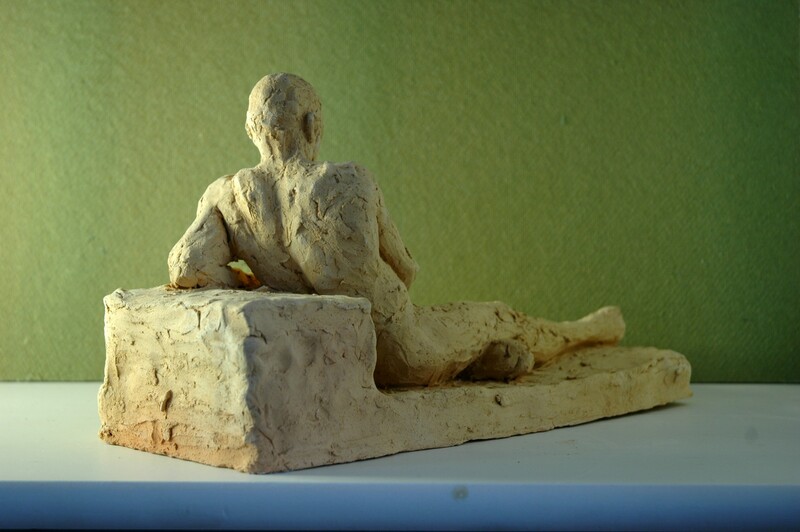 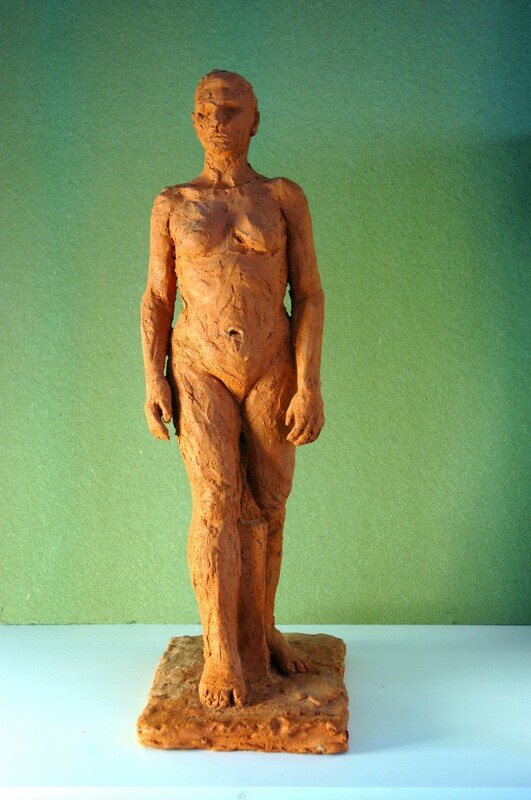 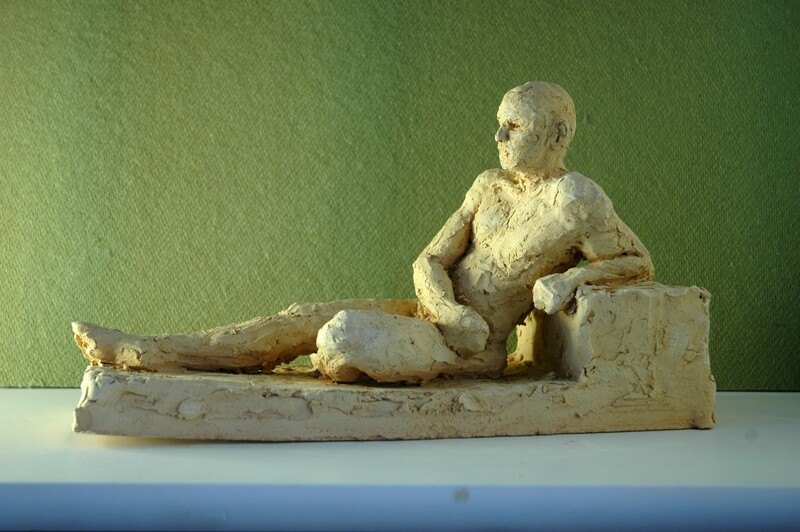 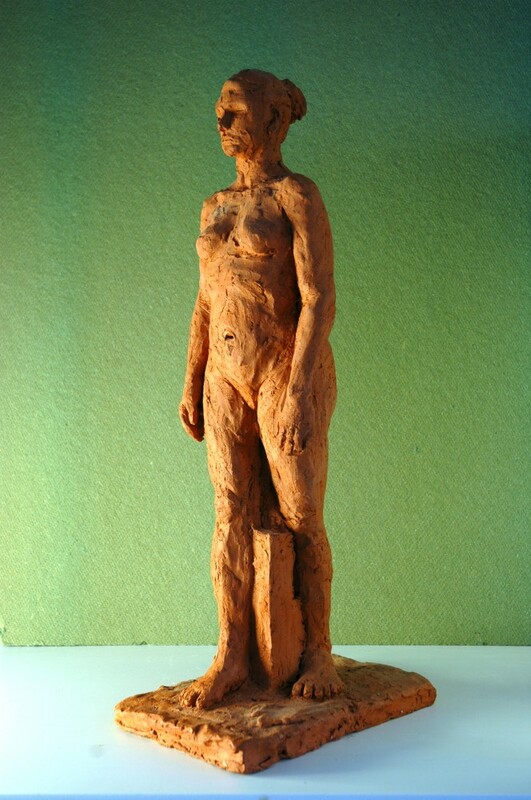 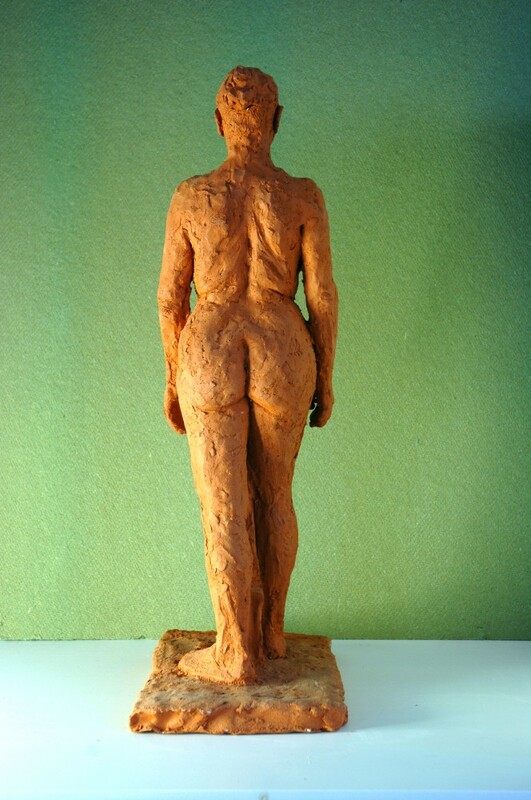 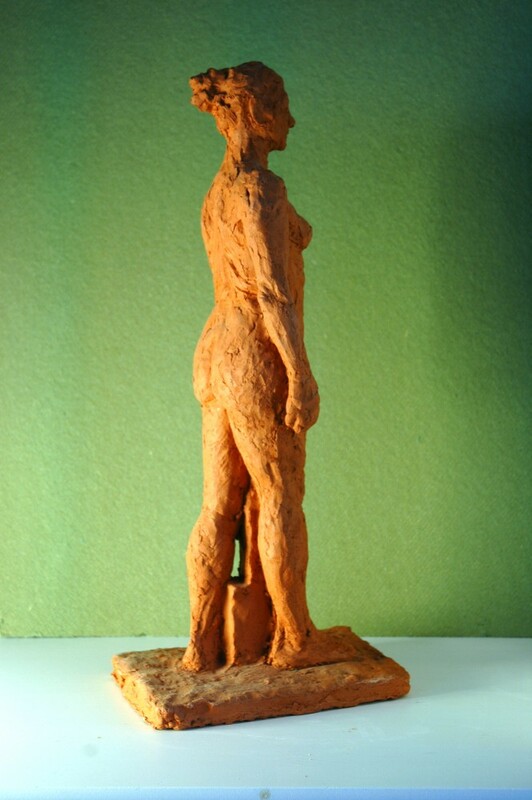 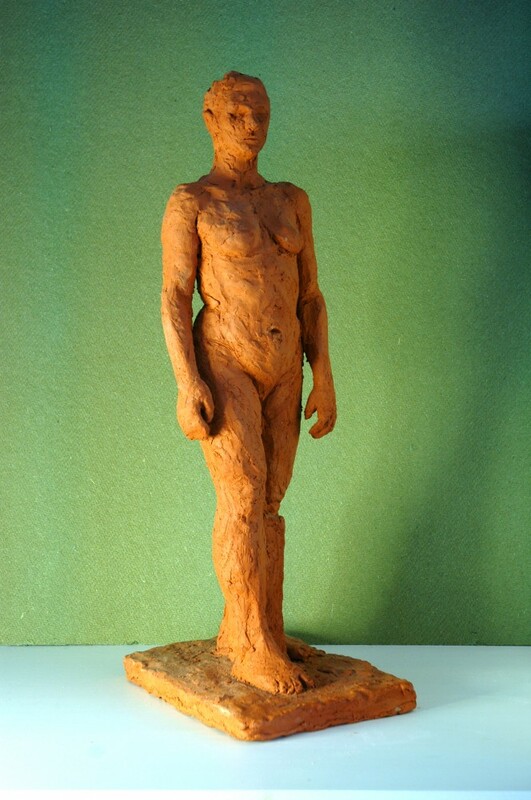 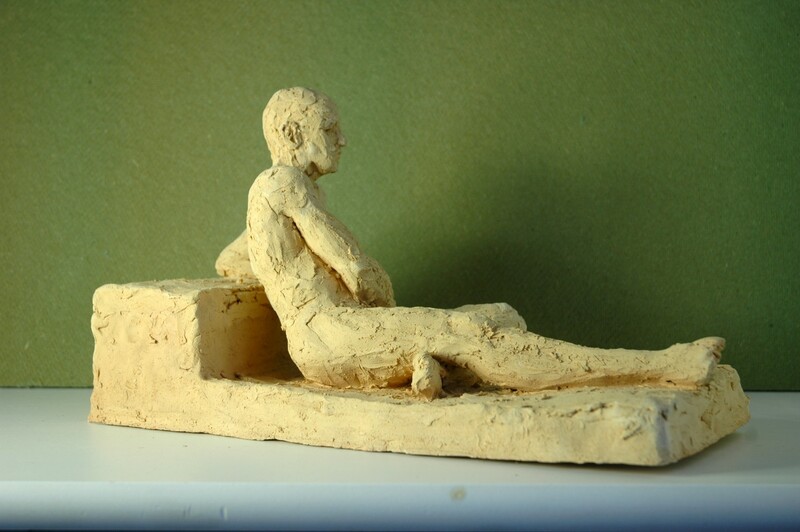 Clay sculpture of live model. 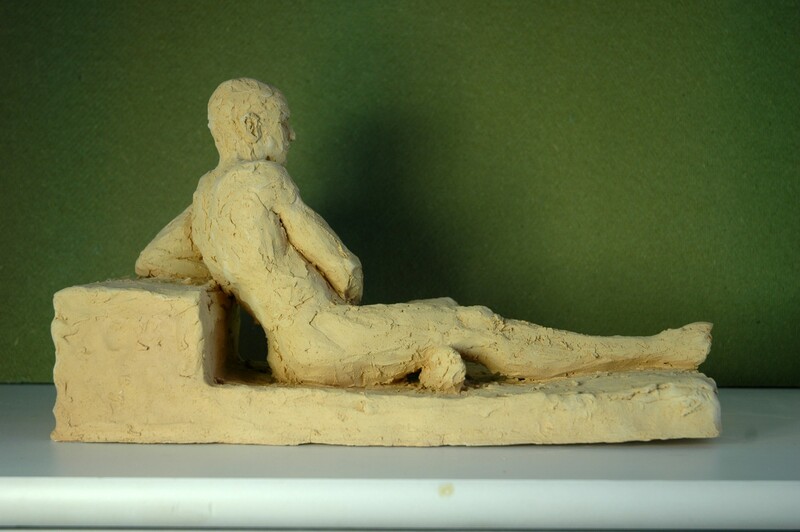 Fired. 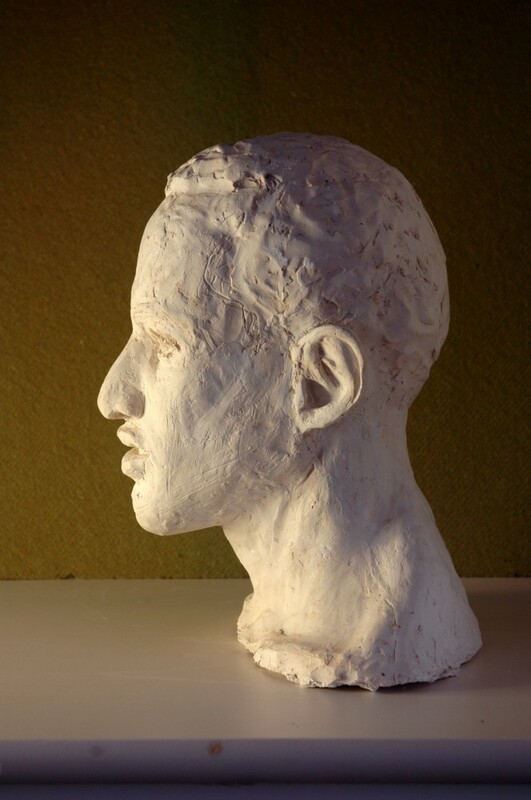 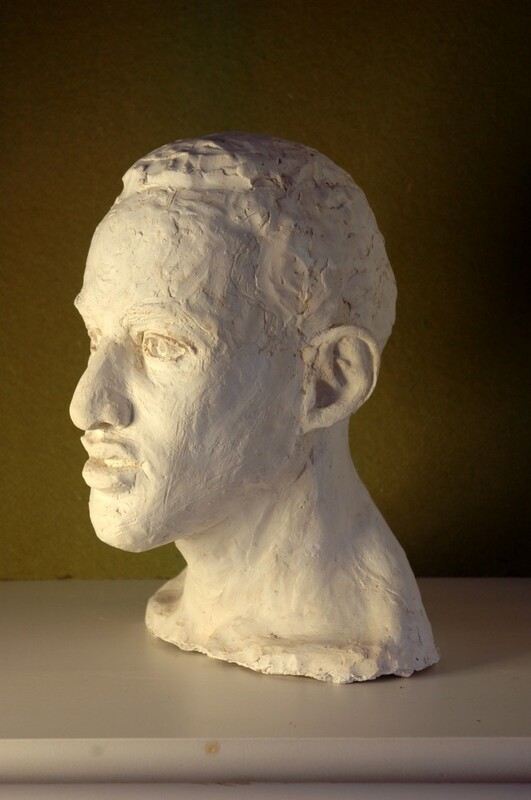 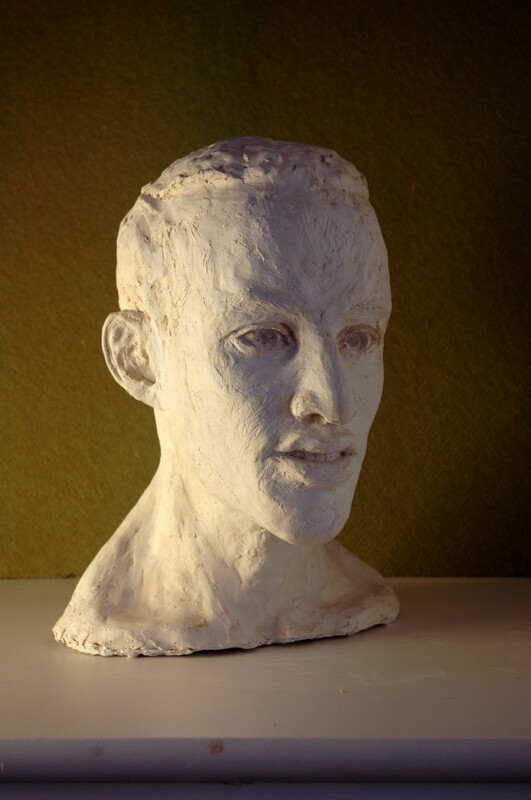 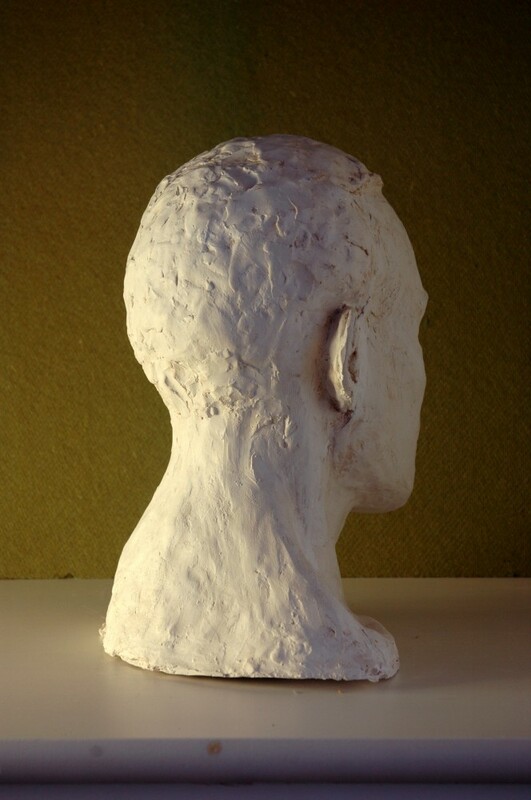 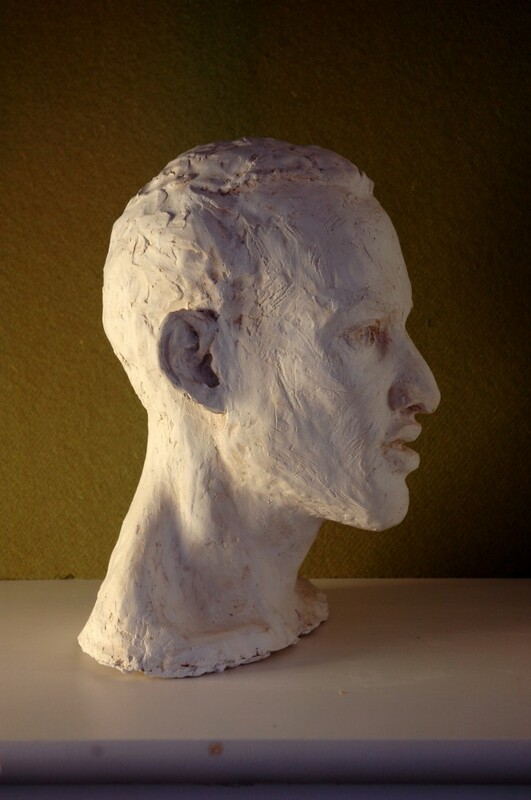 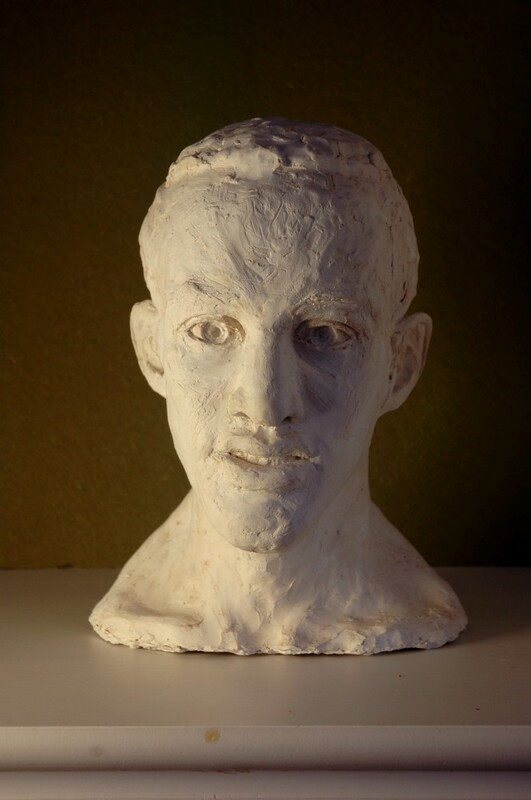 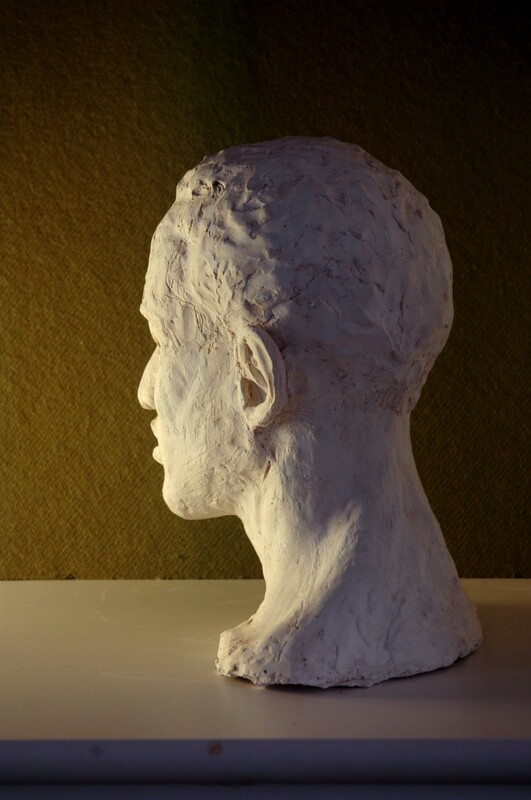 A plaster cast of a clay bust made from a live model.